Here is a post dedicated to information, and video links to the best of the Fruit and Vegetable Carving Tool Sets you can lay your Hands on! So Happy Shopping! 1. 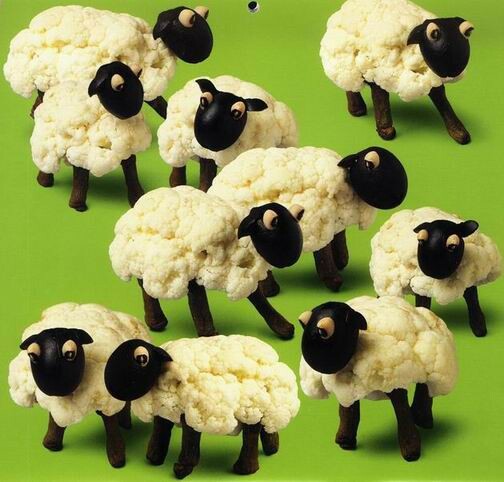 80 Pc Vegetable and Fruit Carving Set from ChefDepot. This video also shows you some Demo carvings! 2.Vegetable carving tools and books - Alex and Angkana Neumayer - This video has some superb tools information and you can check out the site link on the video itself. 3. This is another video by Chef Giovanni showing the use of Tools for Carvings. 4.Giesser Garnishing Tools...On Sale!These German garnish tools & knives are very high quality! 5. Some of the Best tools you could lay your hands on! 6.You can also get some fantastic Thai Carving Knives by Khun Narata my dear Friend here! 7.Get some of the Best Carving and Garnishing Tools Sets at Chef Havey's World of Garnishing! There are many more to come as I collect some more information on the best links available for you all! 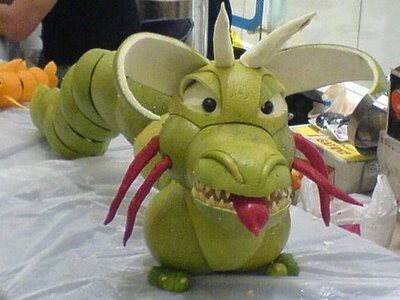 Here are a few images of some really creative Fruit and Vegetable Carvings I found on this site at JewelPie. I have posted the images only for reference as they were unique and interesting! Hope you like them. You can also go to the site at JewelPie to see the full content! 1. 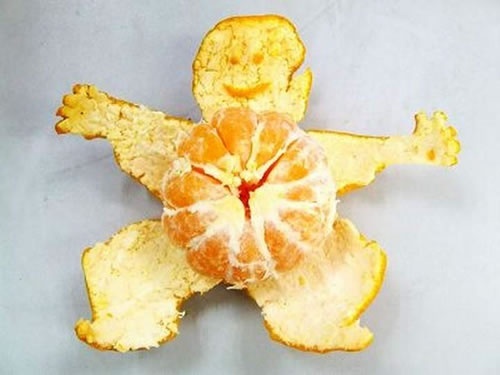 Boogie Man Pinned down by an Orange! 2. 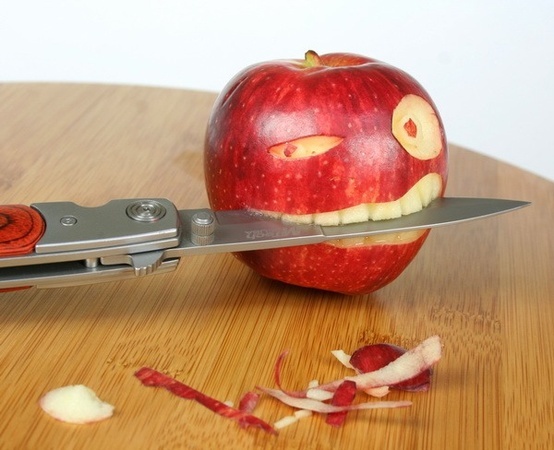 The Bad Guy Apple - Be Careful! 7. Carrot Gold Fish Looking Great! 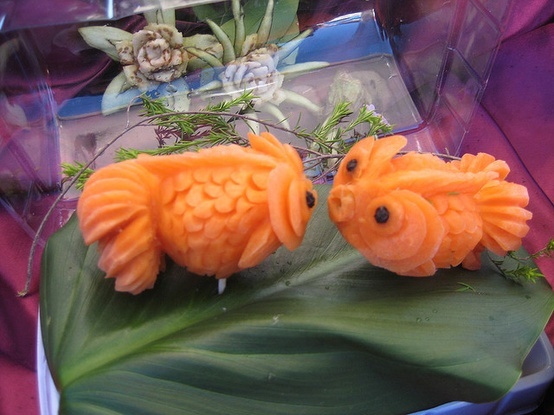 I am sure you will have liked these wonderful Watermelon Carving Videos. Looking out for some more! Here are a collection of fantastic videos of Vegetable and Fruit Carvings by Pavel Hrcan.I have always loved the work of this artist who is a wonderful friend of mine, and we also keep sharing the videos on many Social Media sites. Promoting the work of such artists is a privilege, and I am at present uploading some wonderful videos by Pavel for you to watch. So without much ado, have a great time watching his work. I will not waste much time and unnecessary information about the videos as you will see the work for yourself! More videos to come soon as soon as I browse and collect more for you all! 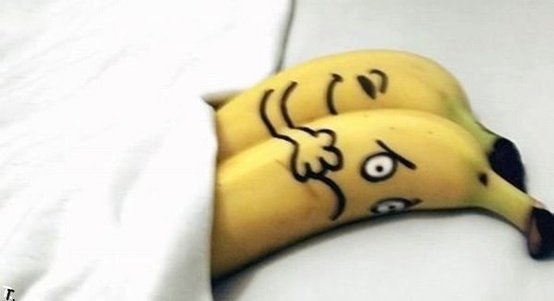 Here are a collection of some of the best videos found on YouTube for Fruit Carving. Hope you like them.- Happy viewing! How to cut out your peacock for carving a fruit centerpiece; learn more about decorating your kitchen in this free instructional video. Expert: Karen Weisman Contact: www.kitchenandcrafts.com. This is a great series which has been posted below. Hope you like these videos. More Videos Coming Up! Here are a few really fun Christmas carvings including photos of carved melon and pumpkin Santas. Maybe they will give you ideas and inspiration for your preparation for Christmas. 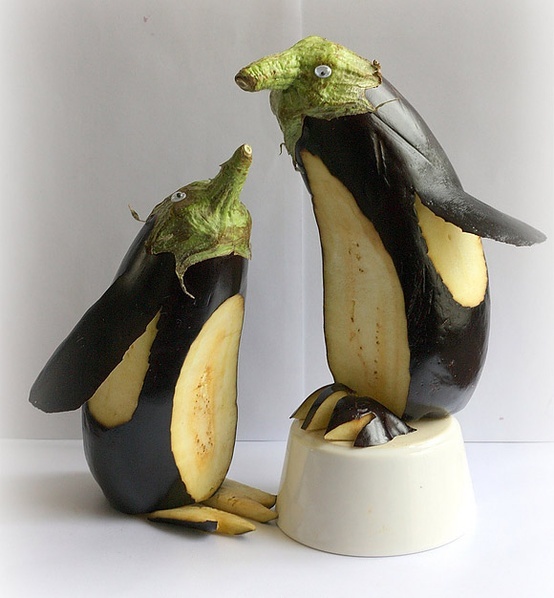 They are of course from my favorite Vegetable and Fruit Carving Artist Nita Gills creations. Christmas Carvings – Melon and Pumpkin Santas. Take advantage of the special Free Training videos and Learn to Carve like a Pro! Christmas Tree Special Vegetable and Fruit Carving Video Series. This is a series of Vegetable Carving Videos which show you step by Step how you can create a wonderful, but simple Christmas Tree! The individual videos have been given a direct link to YouTube as the videos can be watched only on YouTube. So click on the link below and watch the wonderful videos.